Have exactly the kind of day you want at Mirada. Hiking, high-end shopping, fine dining, great schools, nightlife—and that’s before you’ve even arrived at your newly built apartment community. Located next to the Polaris retail and restaurant corridor and across the street from Highbanks Metro Park, Mirada’s location is second only to its amenities. Easy access to I-71, SR-315 and I-270 will keep you connected in every direction as you settle into your new home. Mirada offers studio, one-, two-, and three-bedroom suites perfect for entertaining friends or restful solitude. This year, Mirada made the top-five list for Best Apartment Living in our very first year of eligibility! 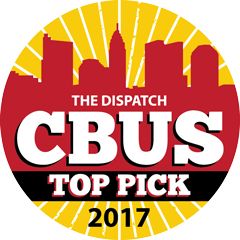 We’re honored to win, and also happy to know that the rest of Columbus now knows what you know—that Mirada is a pretty great place to live.